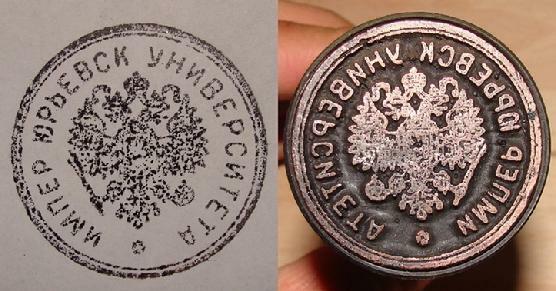 Russian Imperial ink stamper from 19th Century. Made from brass with wooden handle. In good condition, complete ! Height total: 4 1/2"
Base: 0.60 inches. Weight: 75 grams. переименован в Юрьевский (1893-1918 ).